Hi friends! Just wanted to let you know that my latest design - 'Little Kiwi Chick' is ready! 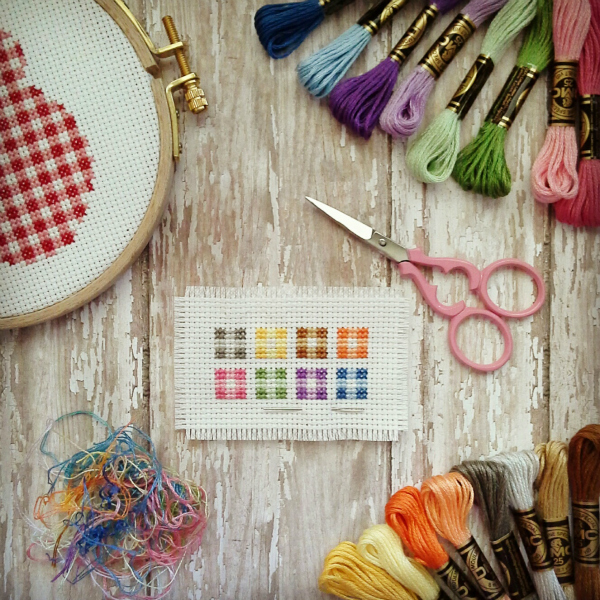 The PDF cross stitch pattern is now available in the home♥stitch♥ness Etsy shop for just NZ$5.00 - this special introductory price will only last until the end of October. 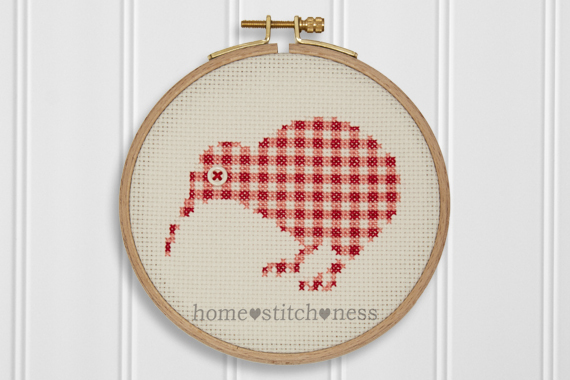 It has been a while since I released a 100% NZ design and this little Kiwi was so much fun to stitch! This 5" hoop art would make a super cute handmade gift for a new baby, for friends and family living overseas (read: Christmas!) or it could even be a great project to use when teaching your child how to cross stitch! The pattern includes nine different gingham colour options.